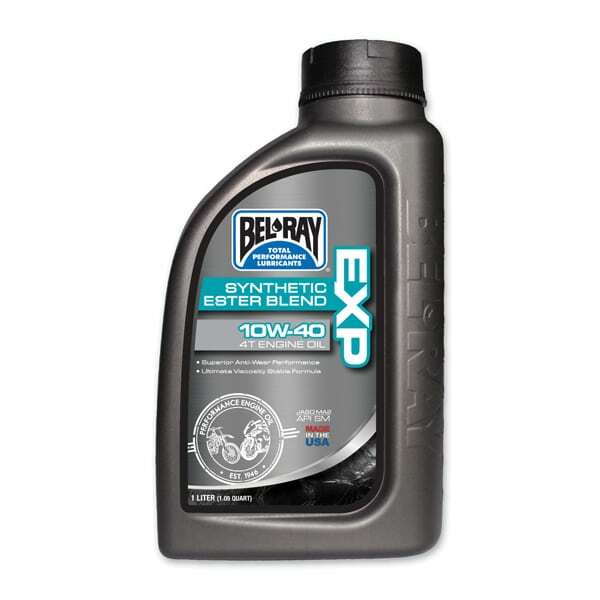 Bel-Ray EXP Semi-Synthetic Motorcycle Motor Oil is a premium semi-synthetic blend motor oil specifically formulated for 4-stroke motorcycles and other 4-stroke performance engines. It combines the performance advantages of a high quality synthetic formulation with the economical price of petroleum. It provides shear- and oxidation stability, superior anti-wear and deposit control for premium lubrication performance and engine protection.